1) Maps, instructions, and GPS - Being Self-Guided out there on a motorcycle means exactly what it says: It's just you and the GPS, Road Book, maps, road signs, or whatever happened to be provided with the package you've requested from us. Part of our service is to be available by phone/email as much as possible for questions you may have, but ultimately, we will not be your best resource when you ask "where am I and where do I go?" So the scenario begs the question: How is your background in 'figuring things out' by yourself in these situations to begin with? Are you generally intuitive when it comes to reading maps, GPS, road signs, and following instructions? If you're not comfortable working these things out on your own, and not comfortable pointing to a map, and perhaps in a foreign language having to ask a stranger how to find your destination, perhaps a Guided Group tour would be a better idea for you. 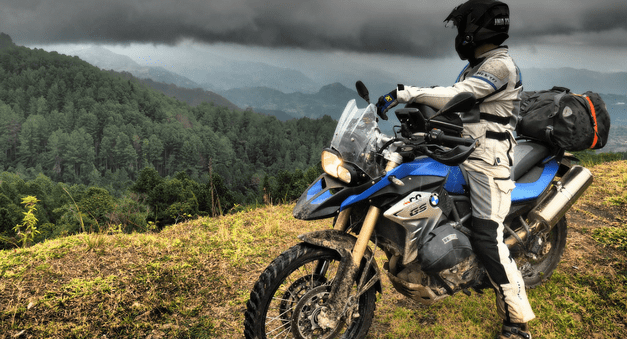 - Generally maps and such are not a problem for Riders, as the Road Books and guide notes that we provide are very easy to follow, but if you happen to be horrible at these things, be honest with yourself before booking this trip format! 2) Flat Tires, Mechanical Hiccups & Similar - First of all, it's very, very rare that any of the rental motorcycles we offer anywhere in the world have a mechanical "hiccup" or failure on their own. Not only are all bikes routinely maintained and inspected between rentals and sold-off after 1-2 seasons of use, but over the years, we have offered only the most reliable adventure bike models while removing those that cause problems regularly. So what that means is: About 98% of the time a bike has a mechanical problem, it was caused by the Rider crashing it. Torn out clutch assembly from hitting the ground, dented or smashed wheels, etc. The remaining 2% of the time, it's some silly little electrical issue, bad fuel, or some other gremlin popped into the situation, just like it could at home, on your bike. Still, that begs the question: How are your mechanical skills? 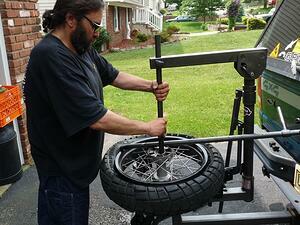 If a flat tire should be your destiny, are you able to fix it yourself? (Yes, we provide tire repair kits with all rentals.) Perhaps you'll want to rethink going Self-Guided if you cringe at the thought of needing to figure these things out yourself. 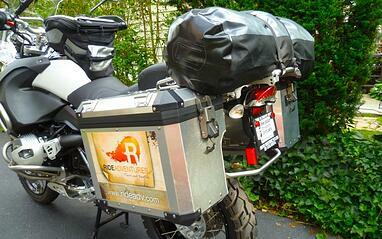 3) Motorcycle + Luggage = Heavier Motorcycle - Obviously, right? This is being mentioned anyway, because perhaps you've only been doing day-trips, or weekenders that require an additional 10lbs of luggage to be loaded onto your bike at home. On most of these multi-day international motorcycle trips, you'll probably need extra layers of clothing, back-up gloves and gear, plus the weight of the tools and tire repair kit you'll carry (we provide.) So while you might be renting from us the exact same bike you have at home, this could all add up to be 50 or 60 extra pounds you haven't ridden with before. How's that going to feel, and have you done this before? Will you be able to pick up the bike alone if you drop it? 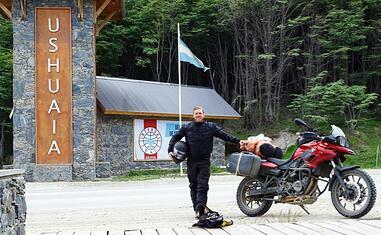 Granted, any passerby will often help, and of course the luggage could be unstrapped to lighten-up the bike, but what if you're alone on the most remote spots along the Carretera Austral in Chilean Patagonia ... hundreds of km's from any sign of civilization ... and no nobody else has passed by for a while? 4) Riding Solo Isn't as Safe - There, I said it. You've probably said it before, too, and we just can't deny how important a riding companion could be if the right (wrong) situation arises. In designing our tour routes, we are typically trying to get folks riding as far away from civilization as possible, out into the remote spaces and away from cities and traffic. (That's where "the good stuff" usually lies anyway, off the beaten tourist-trail.) With those joys of experiencing Patagonia, Peru, or some other region in its purest setting though, comes the fact that making a mistake and running off a road could very easily mean you'd never be found again. Don't make me paint out the limitless number of sad scenarios about how far a rider could fall, what injuries could be sustained, etc., but a riding companion should definitely reduce the amount of time anyone would need to look for you, or get help to you. 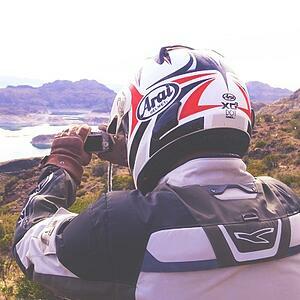 The theme here is: If you want to go Self-Guided, can you bring a riding companion along with you? Lots of our Customers do these routes solo, and you're welcome to as well, but please keep this important safety factor in mind. 5) Cost Savings of Self-Guided vs. Guided - Look through the many trip options on www.rideadv.com and you'll notice that obviously, the Self-Guided trips are less expensive than Guided Group trips that include a Lead Motorcycle Guide, Support Truck, meals, fuel, etc. In the mid-range of costs, you can even find a "hybrid" tour like our Self-Guided, Truck Supported Full Patagonia Adventure that lets Riders combine the feeling of being Self-Guided with at least some safety and support out there in the remote spaces of Chile & Argentina. Whatever the case, things like meals and food you'll end up paying for either way, but again, there are varying "levels" of what we include in each motorcycle trip format. This allows us to offer services for a range of budgets, and make the Self-Guided format an affordable way for Riders to experience the same routes we offer as Guided Group trips. 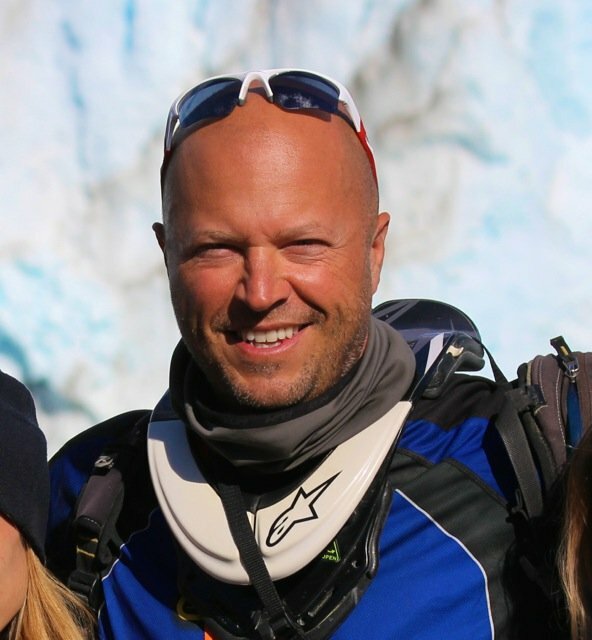 What does all this mean: If you think you're okay with the points discussed in this article, and that you're fit to try any of these routes, then Contact Us about your Self-Guided motorcycle trip wishes, and let's get you riding somewhere new and amazing!